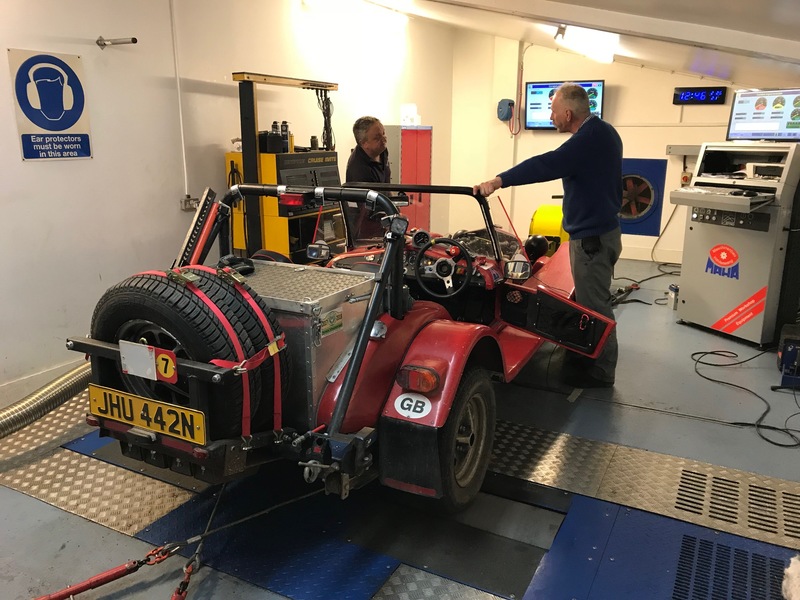 We offer full rolling road tuning on our 400bhp Sun Ram Dyno. 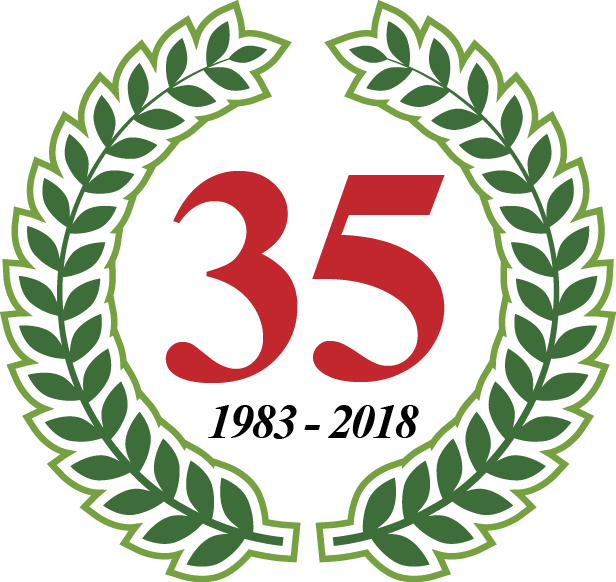 We stock a full range of needles, springs and jets for weber and SU carburettors. 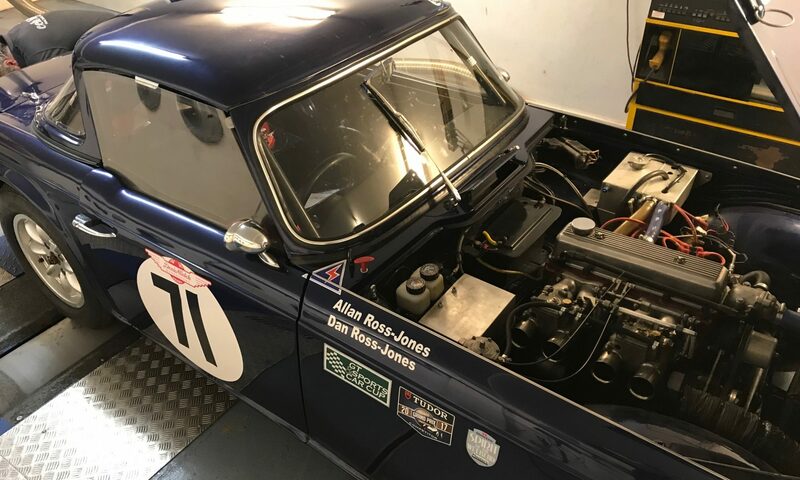 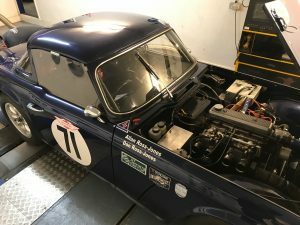 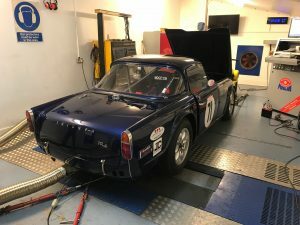 We had another quick TR4 in recently for a little dyno session on the rolling road. 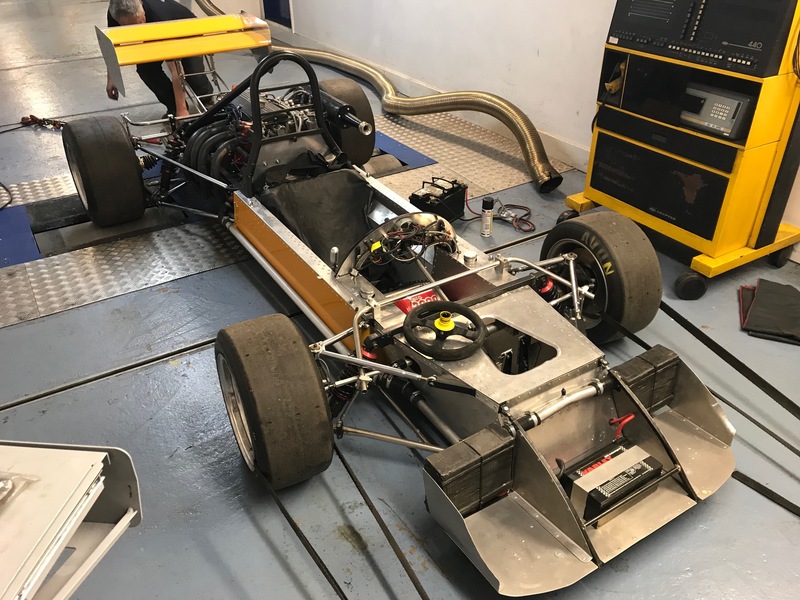 Known to be a quick car, it showed very good results from it’s Mass Racing engine. 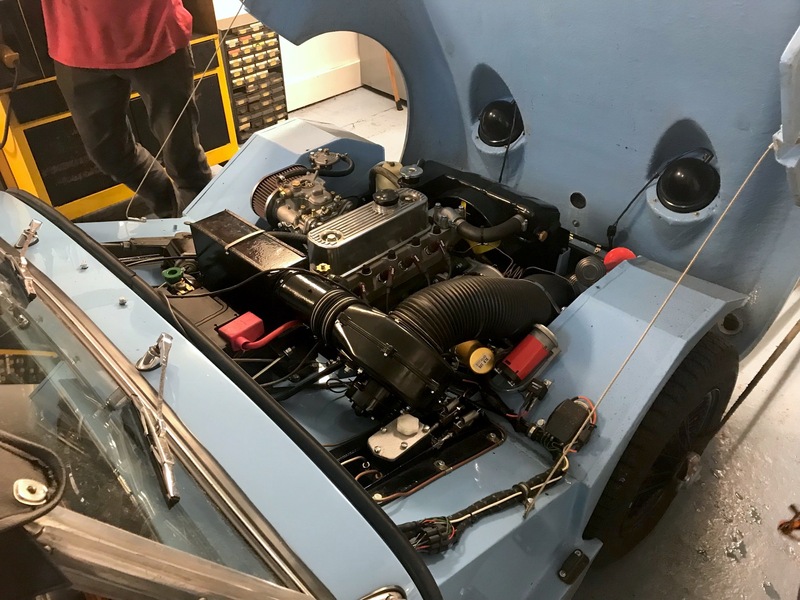 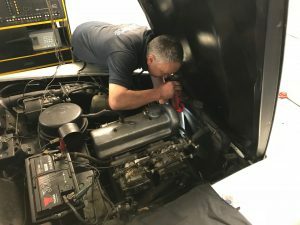 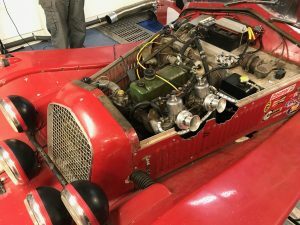 Our friends Bill and Michelle of Hardy Engineering brought their lovely little Frogeye Sprite in for a rolling road tune prior to a European excursion for the International Healey week. 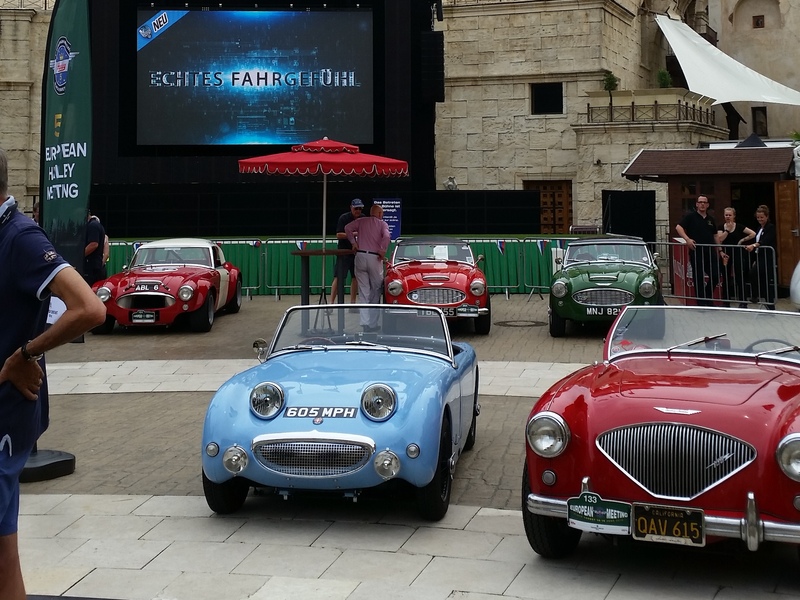 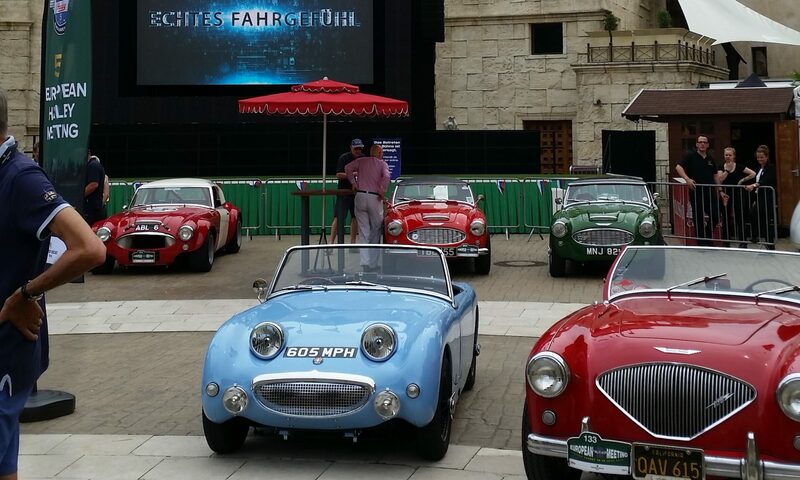 In Europe the car performed admirably and was even voted 1st in class for the People’s Choice award. 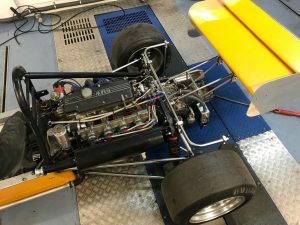 We had a very interesting Elden-BMW Formula 3 car in last week. 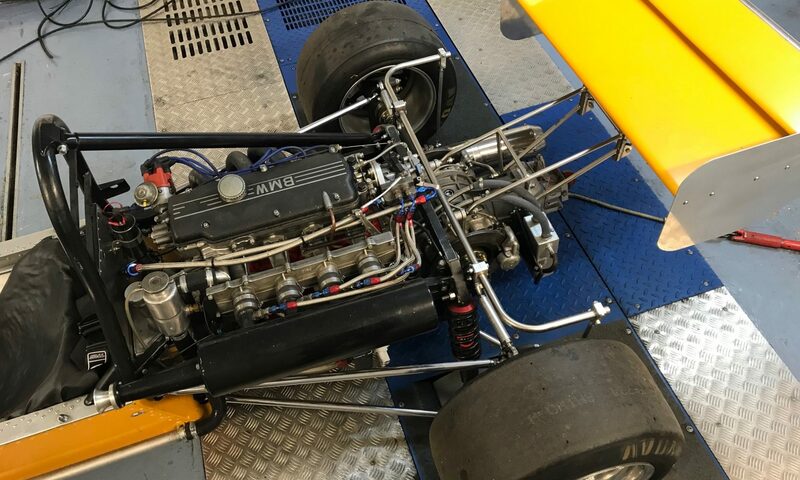 Powered by a BMW M10 engine with slide throttle, Kugelfischer fuel injection. 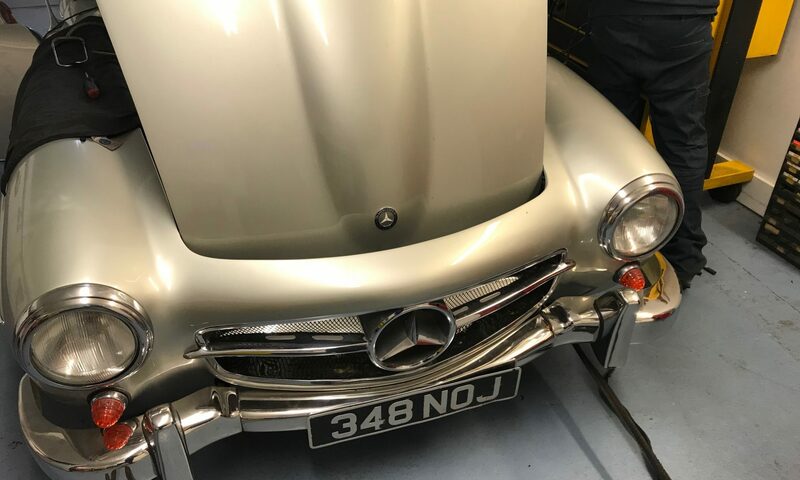 The car has recently been restored and looks immaculate. Will look forward to seeing this out on track later this season. 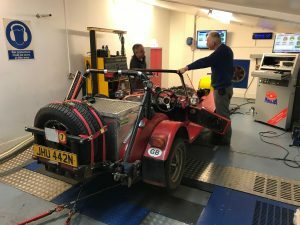 Trials is a part of motorsport we’ve not had a lot to do with in the past although the thought of bouncing through a muddy wood in an old car is fascinating. This Marlin trials car came in for a rolling road tune of it’s SU fed B-series engine. 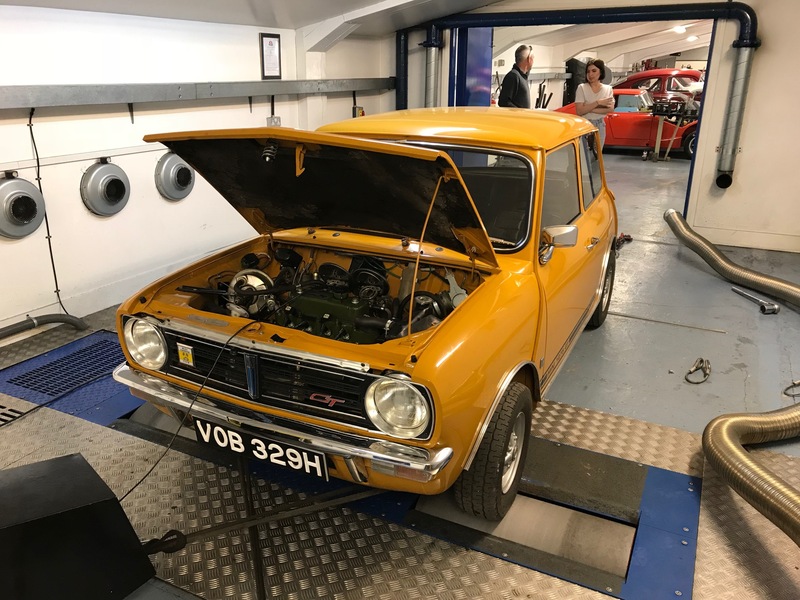 This lovely 1275GT has recently been restored. 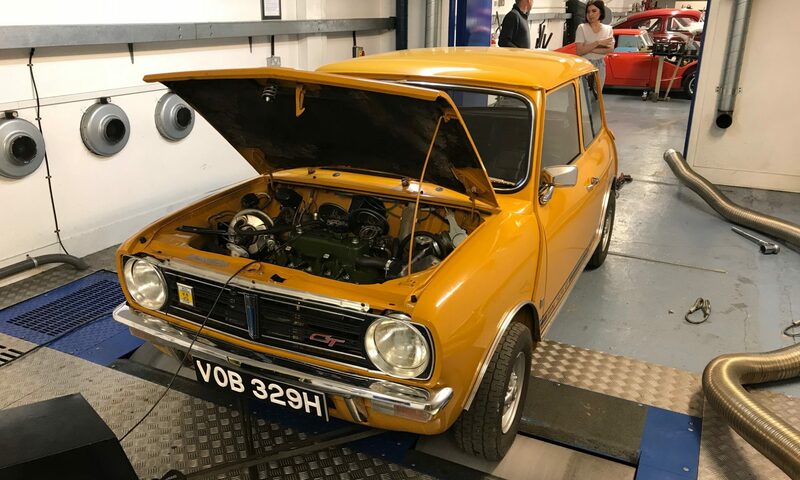 We love the original 70’s colours. 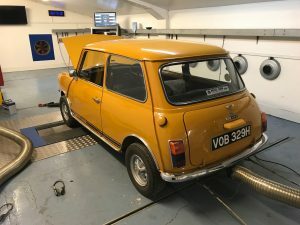 The last job for this Mini was to get the carburettors set up on the rolling road. 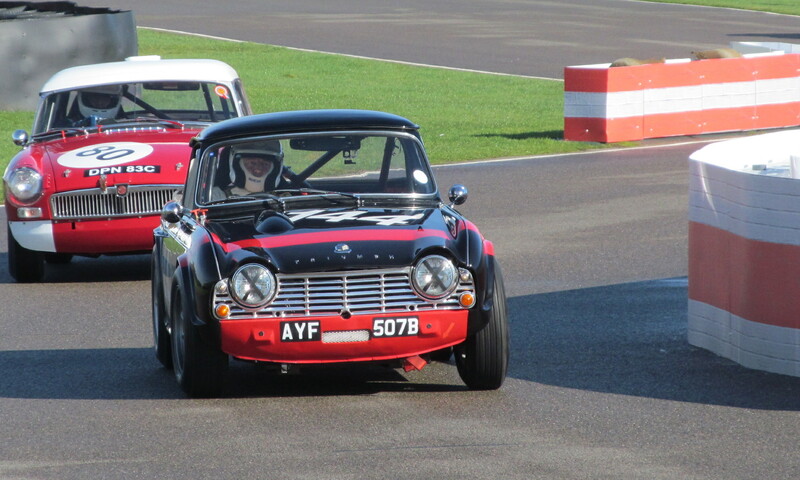 Historic racer Adam Brindle can usually be seen thundering around the UK circuits in a Group 1 Rover SD1. 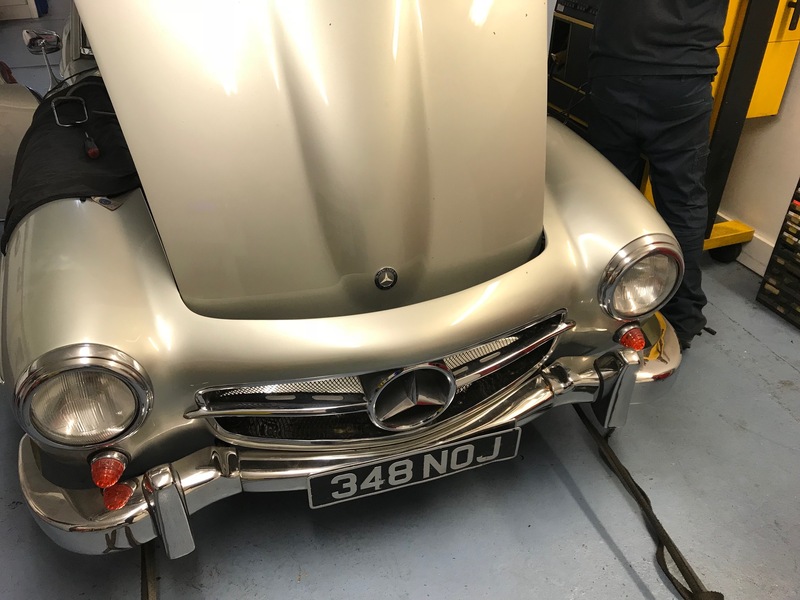 This week we had his Mercedes 190SL on the rolling road. 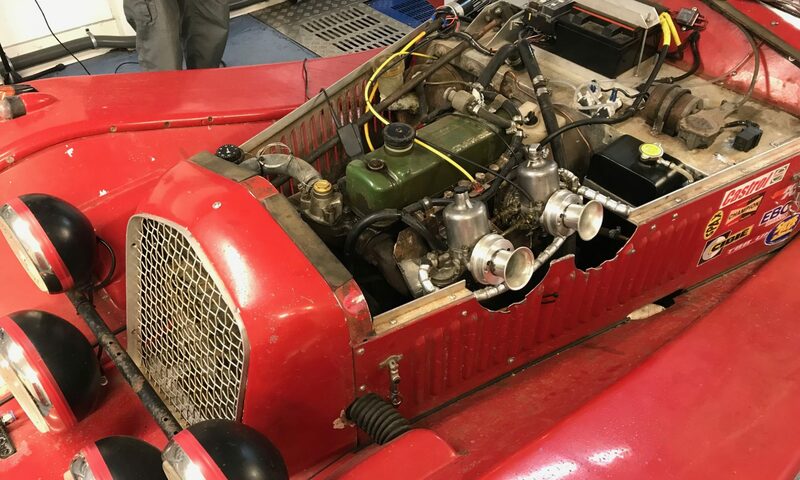 The car is running Weber carbs rather than the original Solex.